Many data-sets exists which contain human encounters and movement patterns. Lots of research on data delivery possibilities in these data-sets in order to create Pocket Switched Networks. 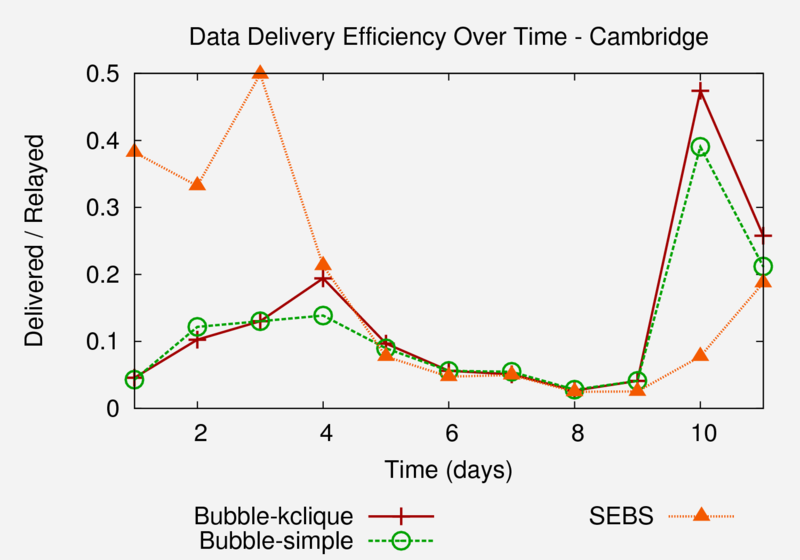 Clustering of similar devices or people within data-sets has been shown to improve data delivery efficiency. A group of vertices that have more edges among each other than with other vertices of the graph [Newman 2004]. Which can limit data duplication. Clusters are made up of transient, pair-wise connections. Or distributively by the devices themselves over time. In either case cluster size usually increases monotonically. 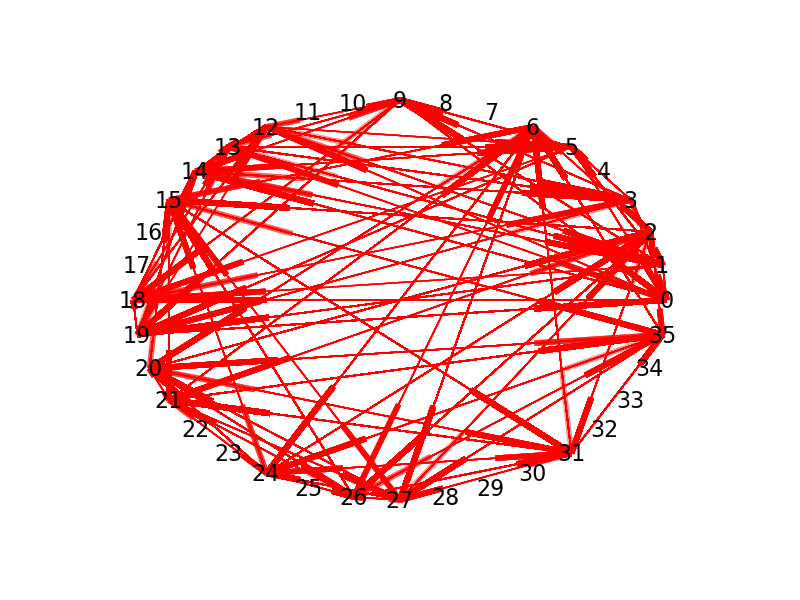 Example clustering from the Simple [Hui 2007] cluster detection method. Monotonically increasing clusters can lead to obsolete cluster membership which causes efficiency loss. 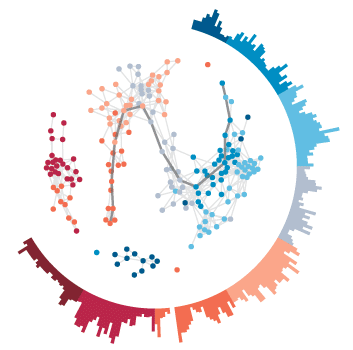 Introducing the Expectation-based Spatio-temporal Clustering approach. 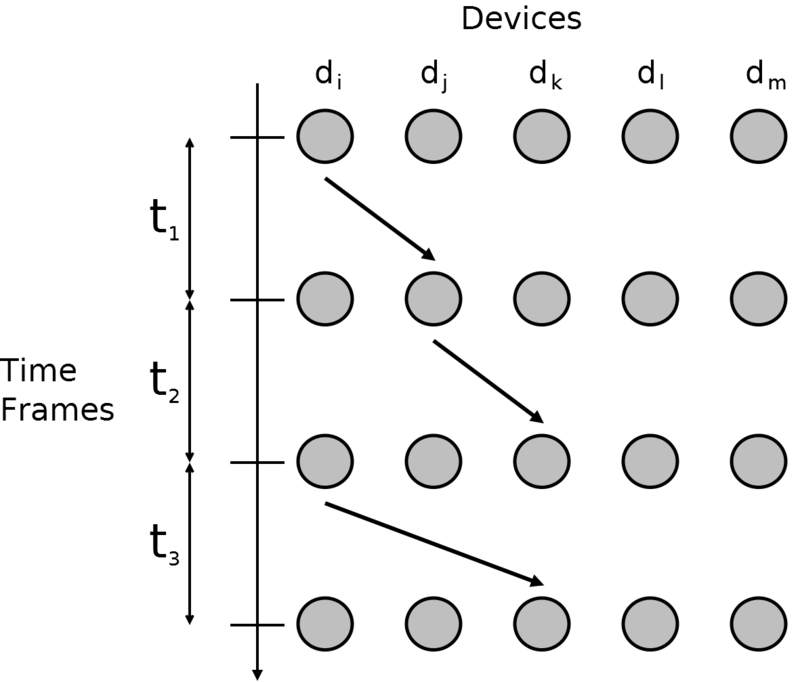 Combines identifying time frames where connection times are high, with strongly connected components. A directed graph is strongly connected if there is a path from each vertex in the graph to every other vertex. Idea is to increase data dissemination efficiency by identifying clusters comprised of these strongly connected components. 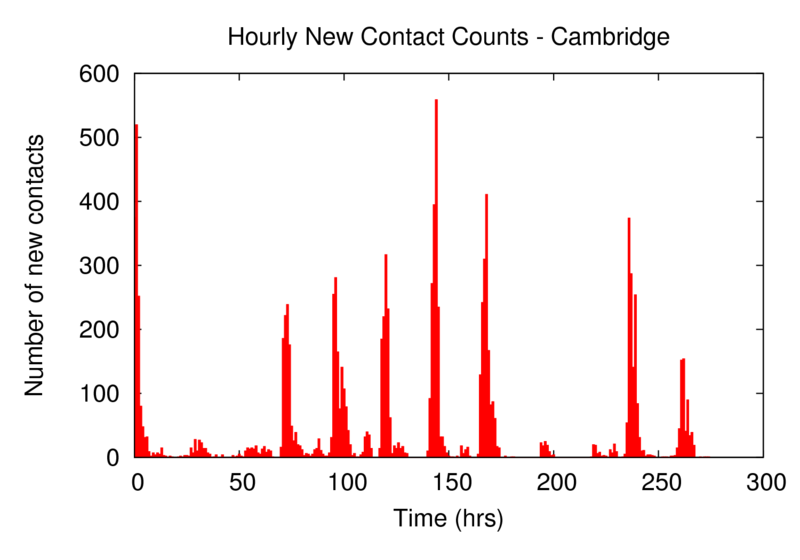 TTL of 1 hour (Cambridge) and 1 day (Reality). Combing all end results (Including Haggle Infocom5 and Infocom6 data-sets). 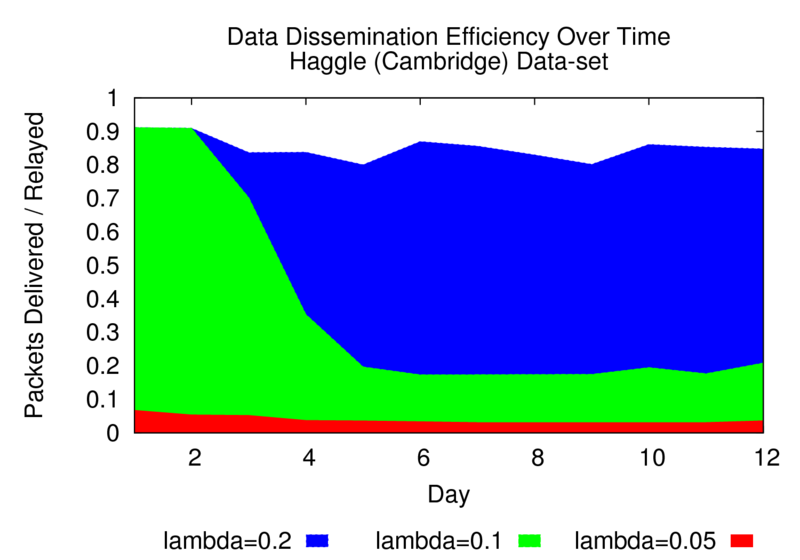 1% fewer packets delivered for a massive efficiency saving. 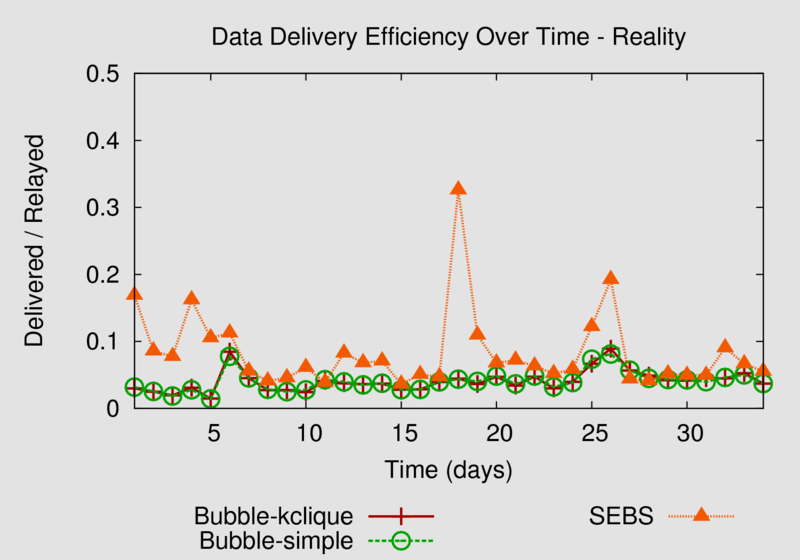 Generally more packets are delivered as experiments progress than when using aggregate clusters with BUBBLE. The strongly connected components (SCCs) are too exclusive for high data delivery rates. Routing based on this excludes many devices. 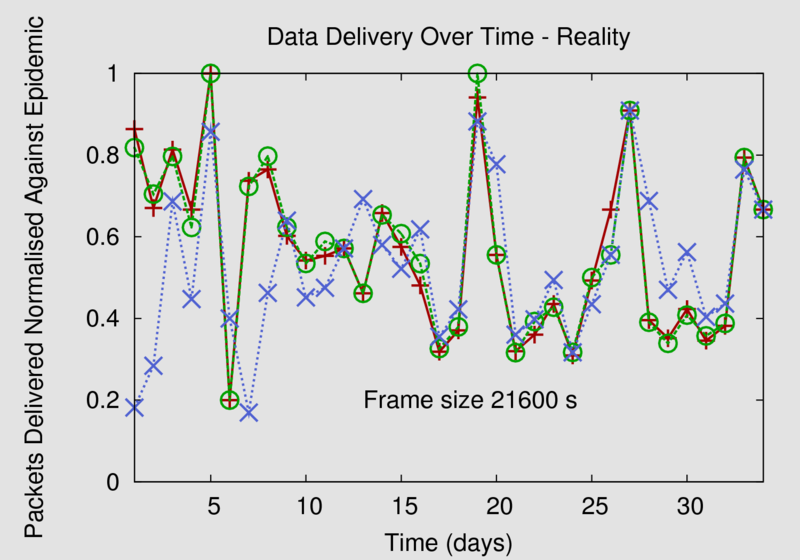 Long time frames are needed to create large SCCs. Reality 6 hours and Infocom6 12 hours. 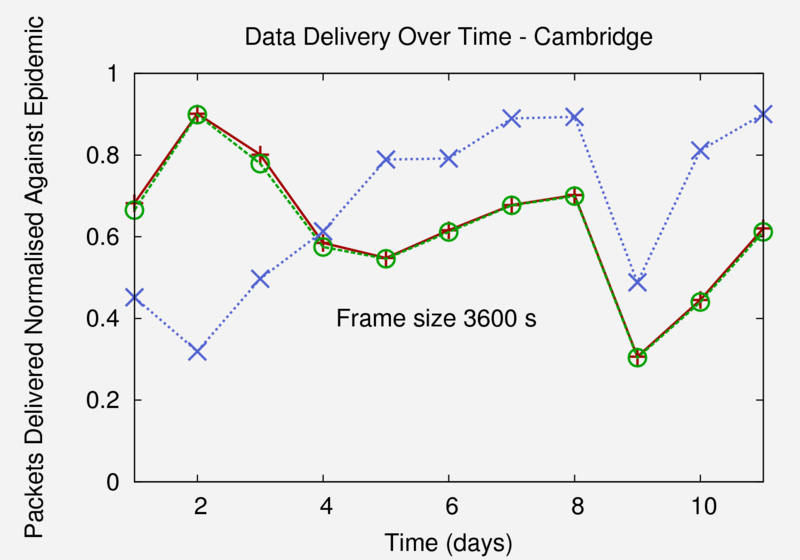 If frames are large, metric differences between frames is usually small and there is loss of temporal relevance. Automatic frame size detection (or getting rid of frames completely) would be really useful.